ExRx.net Fillable PDF Forms for Exercise Professionals are designed for personal trainers, coaches, wellness counselors, or any practitioner who prescribes exercise. The fillable PDF format allows the flexibility to either print, send via email, or fill out the forms on desktop, laptop, tablet, or other mobile device using the free Adobe PDF Acrobat Reader. Adobe Reader is already pre-installed on most most modern computers or is available for a free download through Adobe.com or the Google Play or itunes stores. In addition to typable and selectable fields, five of the forms offer signature fields permitting the choice of certificate-based signatures, image based approval signature, or a traditional handwritten signature. For further explanation, see Types of Digital Signatures available in Adobe Acrobat PDF. Purchasing and/or using these forms constitutes acceptance of the Licensing Agreement (below). A valid email address is required for delivery since they will be delivered via email attachment. Attention USA customers: If purchasing Fillable PDF Forms by themselves, select 'International' shipping for free delivery via email attachment. Record skinfolds, girths, height, weight, vitals, various other fitness testing results. A customizable short paragraph field for other notes and terms. Form is very flexible allowing you to customize your policies through check boxes and number entry. Other terms are stated in such a way that exceptions can be made upon extenuating circumstances based upon your discretion. We will provide you a proof of your requested edits before a final email delivery. If the modifications require additional processing fees or are deemed by ExRx.net to require significantly greater time as compared to typical customization jobs, additional fees may apply. In which case, we will notify you via email and provided a quote for the additional amount required beyond the base $195 customization fee. If the initial stages of editing has not yet been completed, we will also provided an option to refund the initial customization payment. If additional edits are requested later, no refund option for the initial customization will be provided since customization services would have already been rendered. This is why we request the full list of requested edits up front, if possible. These forms have important legal consequences and are not a substitute for professional liability insurance and the advice of an attorney. An attorney should be consulted on all important matters including the preparation of legal forms or when you question the suitability of a form for your intended purpose. Do not use these forms if you do not agree to to all terms and conditions. By using these forms, you agree that the forms may only be used for your exercise training or consultation practice with your clients and may not be sold or redistributed without the written consent of ExRx.net, LLC. These forms are copyrighted by ExRx.net, LLC. Reproduction, in whole, or in part is strictly prohibited. 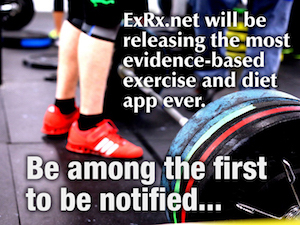 All copyrights on ExRx.net Fillable PDF Forms for Exercise Professionals apply and will be enforced. Due to copyrights, you are not allowed to modify these forms in any way without the expressed written permission of ExRx.net, LLC. You further agree not to make any of these forms available on the internet for download or other electronic means without prudent password protection. For an additional fee you can elect to have ExRx.net, LLC modify the forms according to your legal counsel’s recommendations. ExRx.net, LLC or any of its officers do not offer legal advice and will not accept liability for any financial loss or damage in connection with the use or modification of these forms. Any suggestions or modifications provided by ExRx.net, LLC or it's affiliates should not be construed as legal advice. If you have further questions concerning the appropriateness of these forms or proposed modifications for your particular needs through our modification service, please consult an attorney. These forms are provided ‘as is’ without any express or implied warranty of any kind including warranties of non-infringement of intellectual property or fitness for any particular purpose. Adobe Reader or other third party PDF software is needed to fill in the blanks on computer devices and digitally sign certain forms. ExRx.net LLC cannot guarantee this feature will work properly on all computer devices. It is your responsibility to determine if these PDF features will work on your and your client’s devices before obtaining these forms. As with industry standard, we do not accept returns for software. It is also the responsibility of the exercise / fitness professional to use these forms appropriately. By using these forms, you agree to defend, indemnify and hold ExRx.net, LLC and its officers harmless against any claims, liabilities, judgments, losses, costs and expenses, including reasonable attorney fees from any claims by you or from third parties arising either from the use of these forms or the inability to use these forms for a particular purpose, even if ExRx.net, LLC has been advised of the possibility of such damages. ExRx.net, LLC and any of its officers will not be responsible for any injury, illness, death, etc. that may occur by those not qualified as fitness professionals or by those who act in negligence. All procedures should follow the guidelines/standards as stated by ACSM, NSCA, or other nationally recognized exercise organization in providing safe exercise recommendations and supervision. Some jurisdictions do not allow the exclusion or limitation of incidental or consequential damages or the limitation of duration of an implied warranty, so the limitation or exclusion herein may not apply to you. This warranty will not apply to the extent that any provision of this warranty is prohibited by any federal, state, or local law that cannot be preempted. This warranty gives you specific legal rights, and you may also have other rights which vary from state to state. If this exclusion of warranty or limitation of liability is held inapplicable or unenforceable for any reasons, the ExRx.net, LLC maximum liability for any type of damage shall be limited to the amount paid for the forms or the maximum amount negotiated and agreed by you and ExRx.net, LLC before using these forms. These limitations will apply notwithstanding the failure of any essential purpose of any limited remedy. ExRx.net, LLC has the right to modify these terms and conditions at any time. The failure of ExRx.net, LLC to exercise or enforce any right or provision of the Agreement will not operate as a waiver of such right or provision. If any provision of this Agreement is declared invalid or unenforceable, the remaining provisions of this Agreement will remain in effect. You agree to comply with all applicable laws in using these forms and any associated services.